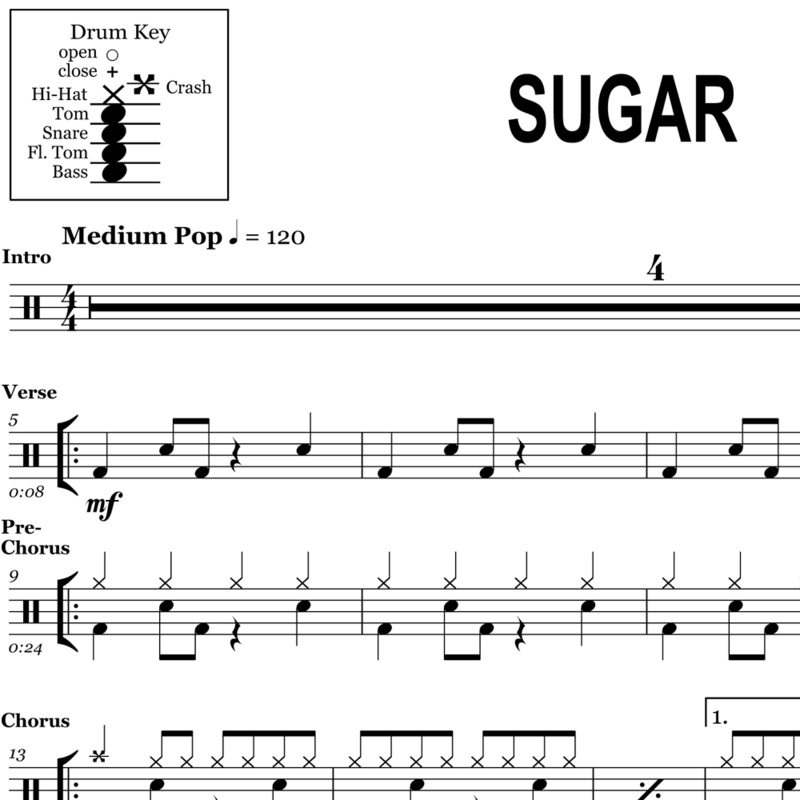 The full drum sheet music for “Animals” by Maroon 5 from the album V (2014). 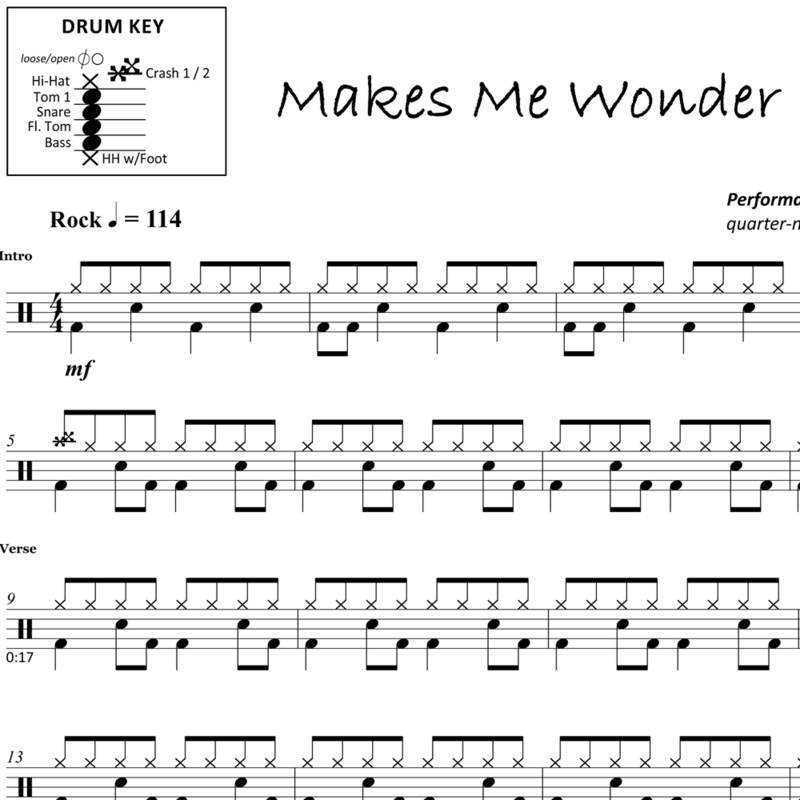 This piece features unique hi-hat articulations throughout, playing a loose hat on the “&,” and then following it up with an open hi-hat. 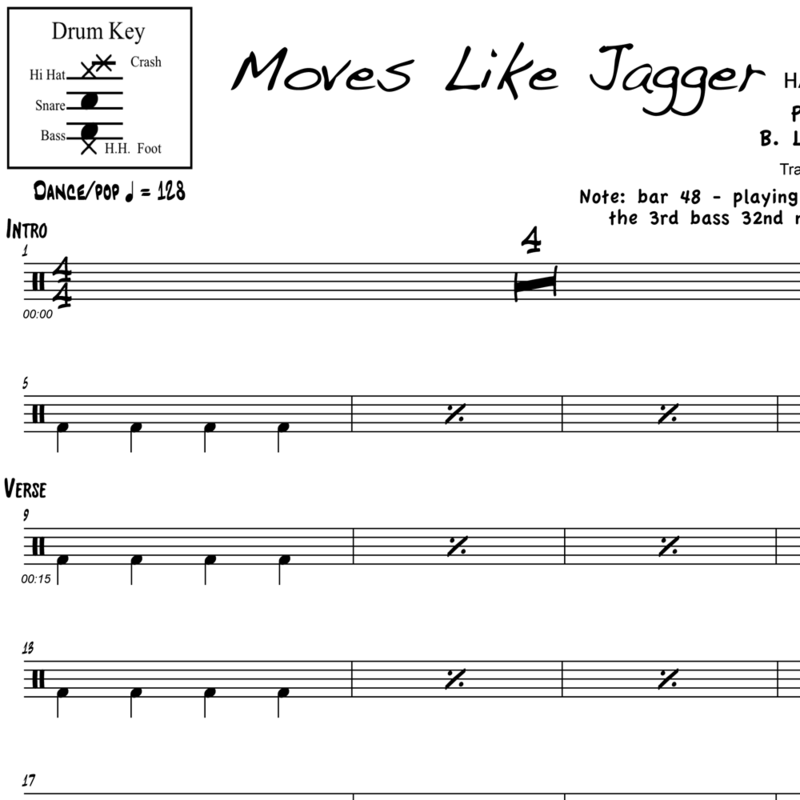 In addition to the straight 8th note feel, Matt Flynn throws in a well-placed sixteenth note on beat 3 of the choruses. The first pre-chorus uses a powerful tom placement. 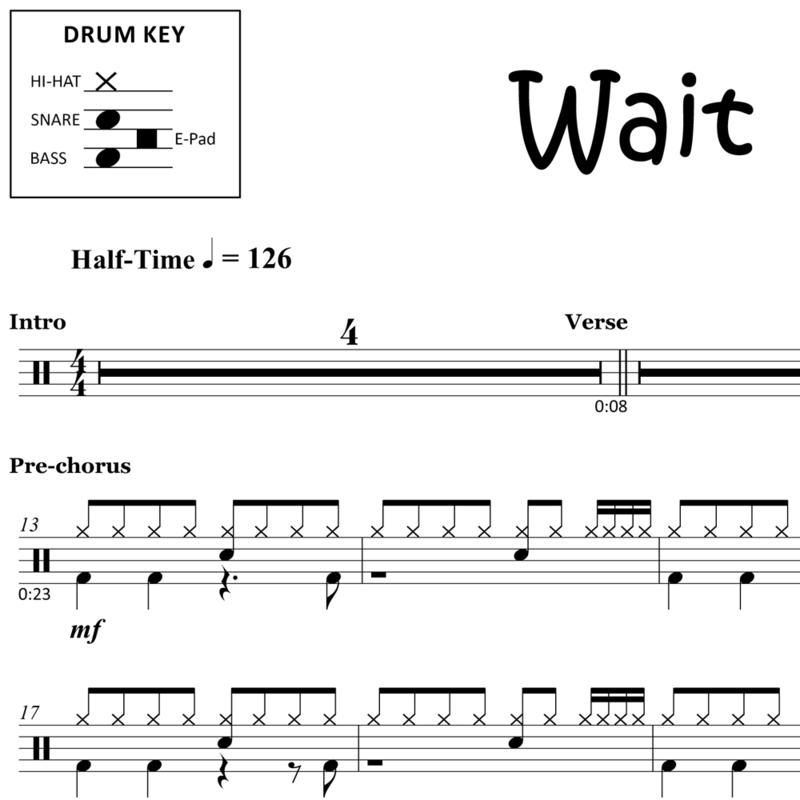 The full drum sheet music for "Wait" by Maroon 5 from the album Red Pill Blues (2017).